They said I couldn’t do it! My girlfriend said I couldn’t do it. I don’t think I can do it… Let me preface this by saying that I have a sneaking suspicion that this isn’t one of my brightest ideas. Good? Clear? Okay. 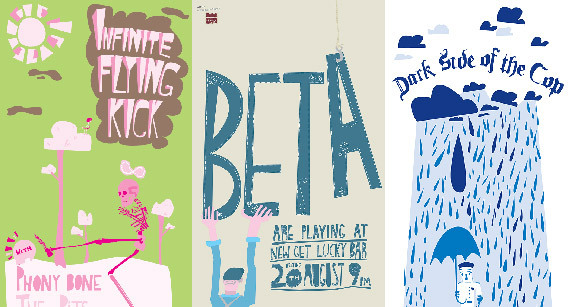 For the month of February, I am going to attempt to do 1 FREE gig poster per day. That means I need details for 28 gigs and bands who want posters done. Starting tomorrow, the 1st of February. I stepped up first, nominating my collaborators Segue and our show at the Empire, Brisbane on the 23rd of Feb, and I love the results! I’m sure there are plenty of artists out there with gigs coming up (they don’t even have to be in Feb) who could do with some tasty design to publicise your awesomeness, so go sign up.